Norman Radow will remain Chief Executive Officer of the RADCO Companies. The RADCO Companies will act as the single parent company that guides six distinct business divisions – RADCO Residential, Construction, Accounting, Investment Transactions, Capital Markets, and Investment Management. Each division will be responsible for the execution of respective business plans set to achieve collective goals. Robert Clark has been promoted to President of The RADCO Companies while continuing to serve as Chief Investment Officer. As President, Clark will have direct oversight of all six business divisions. Bryan Gershkowitz has been promoted to Chief Operating Officer and Executive Vice President of The RADCO Companies with oversight of all corporate functions. These changes are intended to promote greater cross-departmental communication and cooperation, spur career growth for internal talent, expand RADCO’s current portfolio, and further the Company’s ability to seek out new opportunities. “This structural shift, which empowers our amazing talent, is part of our larger effort to continue RADCO’s trailblazing work in our field,” said Norman Radow, CEO of The RADCO Companies. “Our portfolio is worth well over $2 billion today. 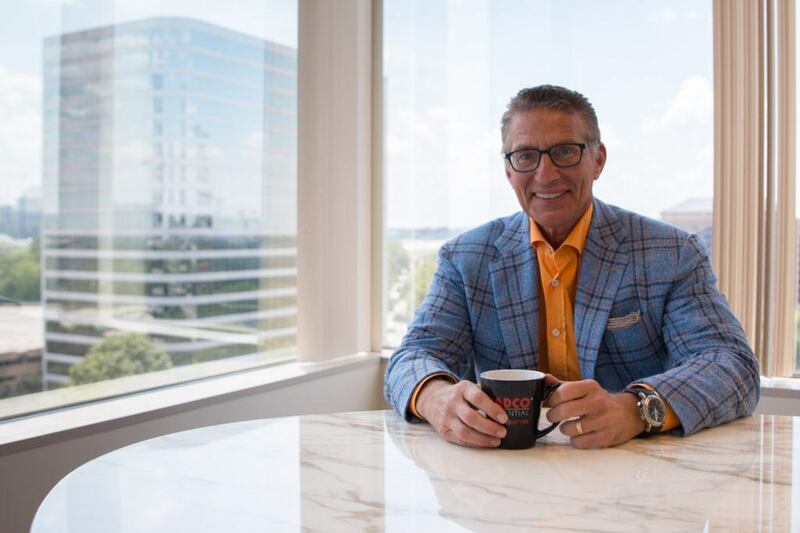 But, it is hands down our people that are the most valuable asset of our incredible company.” Robert Clark, now President and Chief Investment Officer of The RADCO Companies, joined RADCO in 2012 and quickly grew to be an important member of the RADCO Executive Team. His leadership initiative, financial acumen, and deep knowledge of the multifamily space allowed him to successfully build a talented team of acquisitions analysts, capital markets professionals, and investment managers. As Chief Investment Officer, Clark leveraged his entrepreneurial mindset and financial expertise to oversee the Investment Transactions, Capital Markets, and Investment Management Departments. Throughout his roles within the company, including acting as the Chief Financial Officer, Clark has directly overseen the acquisition of over 60 properties totaling more than 20,000 units with a value of approximately $2 billion. The total transaction volume under his leadership is more than $3 billion. “I am proud to announce Robert Clark’s promotion to President. As a five-year veteran of RADCO, he has helped build this company into what it is today. Even of more importance, Robert knows how to expand our platform so we can accelerate our already impressive achievements,” said Radow. Bryan Gershkowitz joined RADCO in 2012 and previously held the role of General Counsel. Bryan marries his interest in real estate with his passion for collaboration. He has worked for companies all over the country, including serving as the Vice President and General Counsel of EastCoast Communities in Florida, Associate for Kilpatrick Stockton in Atlanta, Director of Business Development and General Counsel for Richardson Riley & Associates in Delaware, and as a partner at McCalla Raymer in Atlanta. As Vice President and Chief Operating Officer, Bryan will guide structural changes, push new initiatives, and assist Robert Clark with operational functions within the business divisions. Within RADCO’s business divisions, Justin VanLandschoot, Mike DeSarno, and Alan Keene will continue to lead as Executive Vice Presidents of Residential, Construction, and Accounting, respectively. Matt Roos and Sean Kavanagh have been promoted to Vice Presidents of the Investment Transactions division. Jessica Hansel and Lisa Radow Hurd have been promoted to Vice Presidents of the Capital Markets division. Luke Mills and Zach Finkel have been promoted to Vice Presidents of the Investment Management division. The RADCO Companies has enjoyed outstanding growth over the past two years. The company was recently recognized by the Atlanta Business Chronicle with the top honor in its 2017 Pacesetter Awards, and was named the fastest growing mid-market company in Georgia by the Association for Corporate Growth in its Atlanta Fast Forty Awards. To date, RADCO has acquired 70 properties in 15 markets since 2011 and currently owns and manages approximately 19,000 units.